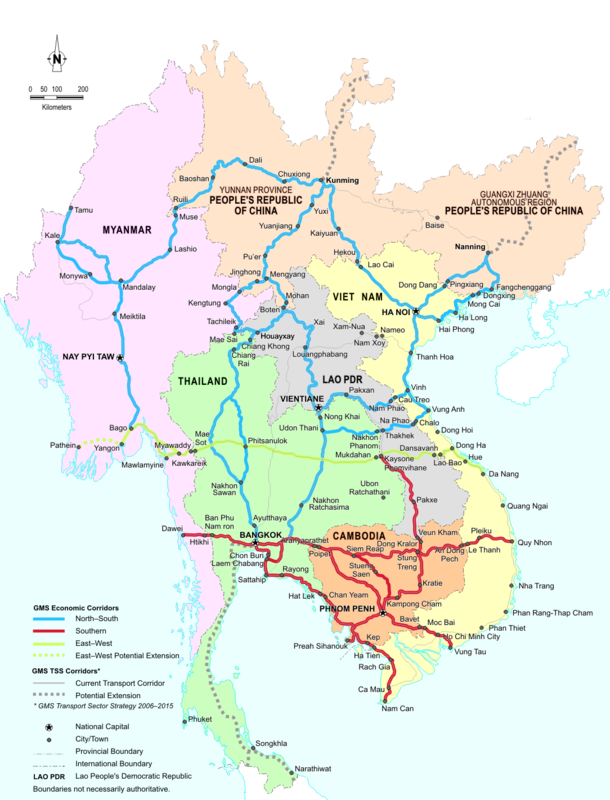 greatermekong – Economic corridors are areas, usually along major roadways, that host a variety of economic and social activities. This includes factories, tourism, trade, environmental protection activities and other aspects of the economy and social development of an area. An economic corridor is much more complex than a mere road connecting two cities. It involves not only the development of infrastructure but also the crafting of laws and regulations that make it easier to do business, access markets, and conduct other activities that support trade and development in a comprehensive manner. Economic corridors bring a wide range of benefits, far beyond what any single project can deliver. There are three main economic corridors in the Greater Mekong Subregion. Plans are underway to expand these corridors, and strengthen links between GMS nations’ capital cities. What is the Greater Mekong Subregion Program? Explainer: What is an Economic Corridor?